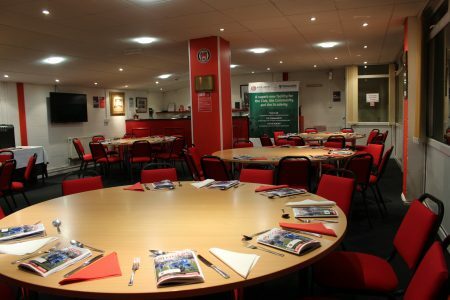 The Peter O’Brien Lounge is situated in the main stand and overlooks the pitch. 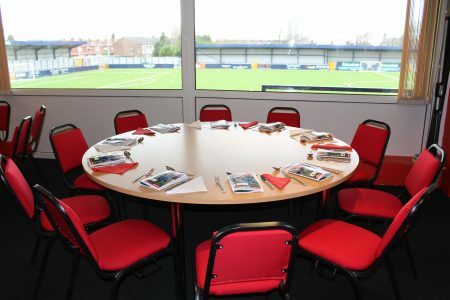 It is a available for hire for small gatherings and corporate events, it has seating for 50 people. A bottle and can bar is available if required, also tea and coffee making facilities can be arranged. 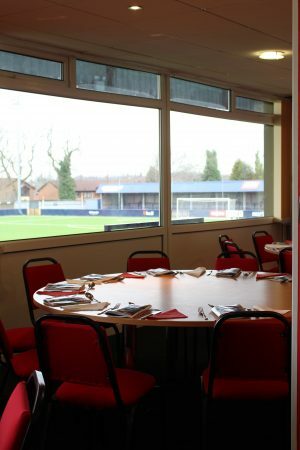 The lounge is normally used on match days for hospitality and is mainly available during the daytime from Monday to Friday. But other days and time maybe possible upon request.